It is the second month of 2018 *time flies*! and also a Malaysia locally produced product which I think is quite helpful. I not only have ichthyosis vulgaris, I also have eczema. thus commonly diagnosed whatever skin problem as eczema. 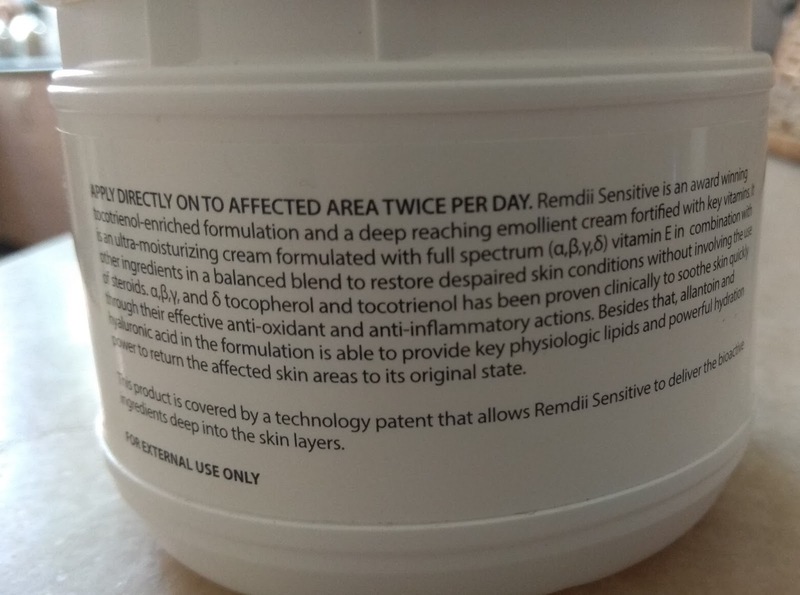 In my last post I wrote about my contact dermatitis. The flaring was bad, I had cracks and my skin was peeling terribly. I went to the clinic and as usual was given topical steroid cream. The problem is I had been on steroid cream on and off for almost all my life now. and it took quite a few days to get the flare down. You can see the difference in the image below. 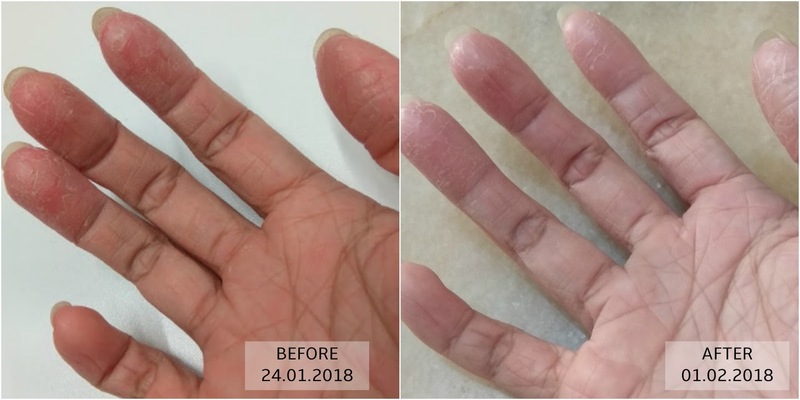 In the after photo, the skin on my fingertips is already thicker and became less reddish. I found out about this cream in my local country's Eczema community group. Being steroid free, it has definitely improved my skin condition. 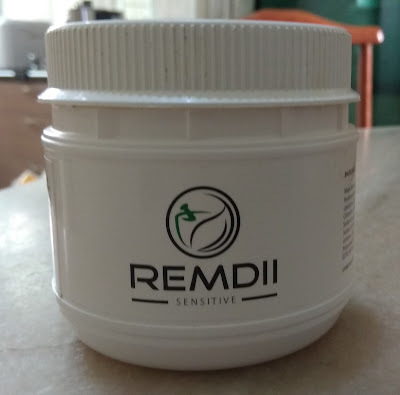 and have not known about this cream, do write to me! So here are some photos of the cream! 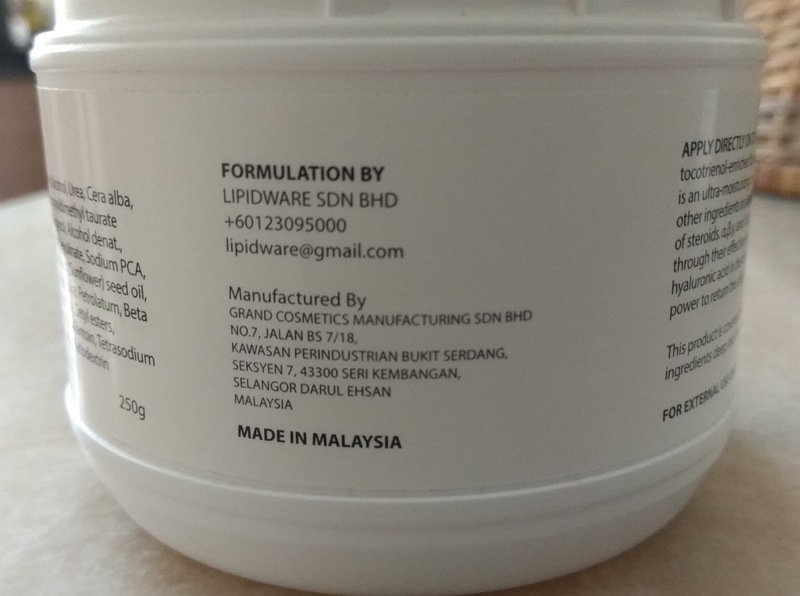 Here is the big original tub, RM150 for 250g when I bought it. If you happen to get trial packs, I think RM15 for 5g? Some RM20, some RM30 😌 depending on how the clinic packs them. Mostly sold at selected clinics all over the country (Malaysia). The trial packs are not labeled. 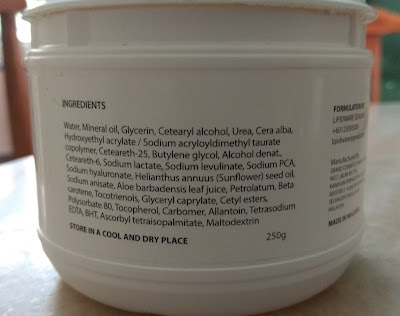 The list of ingredients, all lab tested. 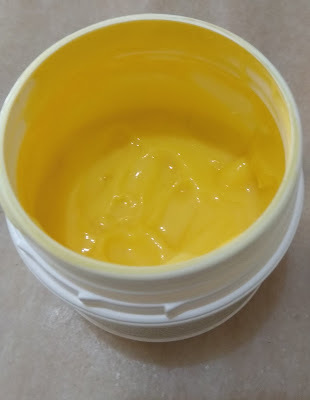 This is the colour of the cream. Unlike most which are either white or transparent (gel type). But no worries, this is the actual colour. 24012018 Is this contact dermatitis?